Arnold to Do Martial Arts & Weapons Training While Blindfolded! Last night, TheArnoldFans.com was invited onto the red carpet for the Hollywood premiere of The Expendables 2 at Grauman's Chinese Theater in Hollywood, CA. Here, we spoke with most of the heroic cast and crew from this sure-fire blockbuster hit to be released tomorrow, August 17th! We have so many exclusive interviews that it will take us until the end of days to report them all but let’s start you off with the exclusive comment we got from the international stud himself, Arnold Schwarzenegger! TAFs is Back on The Red Carpet with The Expendables! TheArnoldFans is back on the red carpet for yet another ballsy Schwarzenegger film: The Expendables 2! We're setting up our gear and going over our questions for the stars who will walk the carpet soon. Schwarzenegger, Statham, Lundgren, Norris, Crews, Van Damme, many surprise guests and hopefully Stallone will all be arriving shortly. We've secured our spot on the carpet at Grauman's Chinese Theater, ready for some cast and crew interviews. Exclusive Interview with Peter Urdl: Tour "Arnie's Life"! Quick, plan a trip to Thal, Austria because Schwarzenegger's childhood home, which is now the walk-through museum called ARNIE'S LIFE, is celebrating The Austrian Oak's 65th birthday with the fans! A big birthday party for all of Arnold's followers will be celebrated at the museum on July 28th, 29th and 30th. Peter Urdl, Arnold's friend and museum manager/director of Arnie's Life gave TheArnoldFans.com an exclusive interview and shares some great photos. Who else would be the perfect director of this Schwarzenegger museum than Peter Urdl, who was a school friend of Mr. Schwarzenegger and the major of Thal for nearly 20 years. TAFs Is BACK from Comic Con! Let the Stories Be Told! TheArnoldFans, having just returned from a five-day vacation from San Diego Comic Con, is now ready to give you the pumped-up stories. Oh wait, did I say vacation? This was all work: interviewing the stars of The Expendables 2, circling the Lionsgate booth for movie promos, organizing a book cover group-photo shoot, greeting past co-stars from The Oak’s movies, meeting the fans in costume from Arnold’s best roles and filling up a memory card with pictures of the latest Schwarzenegger toys and merchandise. TAFs is Now at Comic Con! Last Stand Exclusive! TheArnoldFans is working the con! In addition to getting to see Arnold during his Expendables 2 panel, we're interviewing actors, toy manufacturers, and best of all, mingling with the fellow Schwarzenegger fans! Stick around for some big news! For now, here's a nice little exclusive for you! Arnold's good friend and star of Last Stand, Dieter Rauter, tells TAFs what his character name is! Dieter, eating a box of Kellog's Pops, tells me his character’s name in Last Stand is “Nameless”. It literally says “Nameless” as his name on the call sheet. A great nickname. Check out Dieter on the poster below on the far right! TAFs has been picking up comic con exclusive movie promos left and right for Schwarzenegger's upcoming films and autobiography! We can't wait to get home and show you this Austrian-sized bag of swag! TAFs Interviews Gerry Lopez: Part 1 with Subotai! Even though I get the fortunate opportunity to interview many of Arnold's directors and co-stars, I'm always extra giddy to speak with the cast of Conan the Barbarian, my favorite Arnold film. Recently I was able to speak with one of the key players, Gerry Lopez, who plays "food for wolves" a.k.a. Subotai! Exclusive Interview with The Last Stand's Ky Furneaux! We've got another "Last Stand" EXCLUSIVE for you! TheArnoldFans spoke with Ky Furneaux, stunt woman for the movie's lead actress, Jamie Alexander. When we last heard from Jamie, we were informed that Schwarzenegger received eight stitches on his forehead. Arnold later confirmed it was seven stitches a few days after he tweeted "Got a little banged up on set today." "Governator" Exclusive: TAFs Interviews Andy Heyward! Andy Heyward, a co-founder and CEO of A2Entertainment, gave TheArnoldFans a lengthly exclusive interview today about their upcoming animated series The Governator! A2 will produce the TV series and 3-D movie and manage the global licensing, merchandising, and distribution. Read on about the latest news including the fantastic news that "The Governator" WILL officially be in theaters for a 3D animated motion picture! TAFs Exclusive Interview with Legendary Stan Lee! 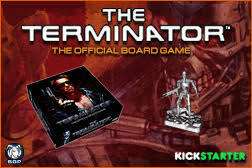 What do you get when you cross Stan Lee's "Excelsior" with Arnold Schwarzenegger's "Terminator"? You get the ultimate mash-up of "The Governator," the all-new action-packed animated cartoon series. Although this pumped-up Arnold-voiced series won't air until late 2012, I've managed to get the co-creator of the series, Stan Lee, to give TheArnoldFans several exclusive comments.